I have personally interviewed some locals in Kudahuvadhoo, Maldives and they were quite sure of what they heard and saw. The same time there was a fire suppression bottle of same type washed in Maldives. And there is no doubt that it was the flaperon of that flight. The barnacles shows it was from tropical waters. The conclusion is that the flight should be in the Indian Ocean near to Maldives below equator but not necessarily be near Australia. @Shareef, There’s absolutely no reason to think that the plane went anywhere near the Maldives. Whatever the locals do or don’t think they saw, they didn’t see MH370. There’s simply not a scrap of evidence for that being the case, and lots against it. @Ben S, Zhetigen is a fascinating idea. Back when Victor Iannello was working on the spoof idea, he spent a lot of time looking at Alma Ata, which is very close by. Though its to the east of the maximum probability area identified by the DSTG, it suffers less of the fuel-exhaustion problem than Baikonur does. U.S. District Judge Ketanji Brown Jackson in Washington ruled on Wednesday night that the wrongful death and product liability litigation, encompassing 40 lawsuits, did not belong in the United States. She said the case belonged in Malaysia, which has an “overwhelming interest” in and “substantial nexus” to the March 8, 2014 disappearance of Flight MH370, a Boeing 777 heading to Beijing from Kuala Lumpur with 239 people on board. 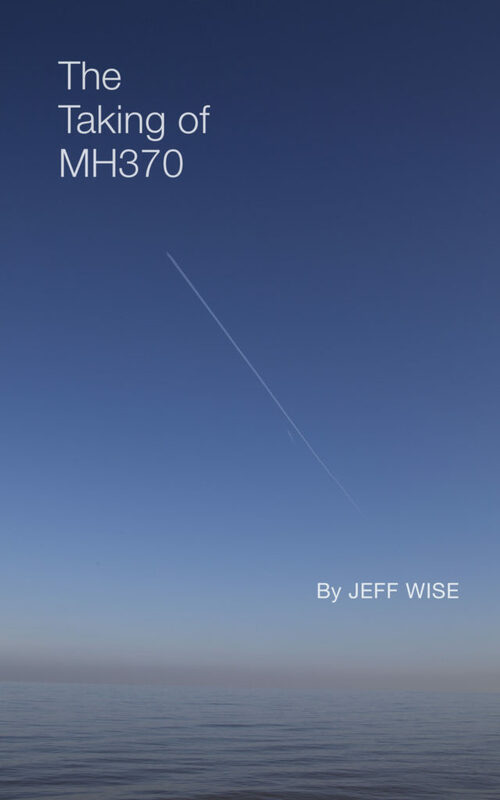 “At its core, this case is about the unexplained disappearance of a passenger plane operated by Malaysia Airlines as part of its national air carrier fleet following its departure from a Malaysian airport,” Jackson wrote. @Jeff Wise, I’ve said on other forums on other topics that one should not attribute to the press malevolence when ignorance or laziness is far more likely. And I feel like I can say that knowing the players and process, having once worked in journalism myself. But any more, I have begun to think I was, sadly, mistaken about that. Leaving bad actor off the table, it seems bad judgment–forced by the drive for audiences at scale clicking over or tuning in each night–has gotten so great that nothing being true and everything being possible is a state of affairs too many are comfortable with. Relatives of people who went missing on Malaysia Airlines flight MH370 in 2014 have retrieved what they believe are new pieces of debris from the aircraft and will present them to the Malaysian government this week. The next of kin said in a brief statement on Wednesday they would meet Malaysia’s transport minister on Friday “to hand over newly recovered debris”. There are no pictures of the new debris. @Will, Thanks for this. Will be interesting to see what these new ones are like. @Scott O, I’ve been thinking about this a lot lately. There’s a strong First Amendment tradition in this country, which is wonderful, and essential for a democracy. Everyone should be allowed to state their opinions and share their facts. But you can’t just say anything. You can’t, legally, shout “Fire!” in a crowded theater and you can’t say that your herbal medicine is medically effective if that hasn’t been demonstrated. I’m wondering if we need to start talking about restrictions on disinformation in other spheres. It’s as scientifically erroneous to say that global warming is a hoax as it is to say that herbal tea cures cancer, and in the big picture far more damaging to society. Ditto for anti-vaccine conspiracy theories, QAnon, etc. That kind of thing wasn’t a big deal when it was spread by one guy in a tin hat in the subway, but when you’ve got Fox, Sinclair, Breitbart etc pumping out malicious disinformation daily on a massive scale, it becomes an existential danger. I second what you say about disinformation. It’s interesting how generations before us have reflected extensively on the implications of advancements in technology (which is the underlying issue I would argue, the internet and modern media having ushered in a period where anyone can promulgate whatever they please in ways that reach greater audiences than what would ever have been possible in earlier times – the modernist cacophony, the Babel of Facebook, Twitter and Fox News), whilst this discussion has pretty much ended with the dot Com bubble or the so called financial crisis at the latest. When you think about it, a generation ago people read 1984 and debated genetically modified organisms, nowadays, the news that a Chinese scientist has used Crispr on live human babies hardly gets noticed. I would interpret the increase of what you refer to as disinformation in an even more intellectually troubling way: when you think about it, in a way what we are witnessing is a sort of “democratization” of “information”, by which I mean that the modern consumer society seems to have reached a point where everyone can choose whichever reality they wish to choose, which in a way you can consider highly democratic, and thus in itself calling into question the merit of total democracy. (It is another interesting thought that in Germany, for example, the most direct form of democracy, popular single issue ballots, are forbidden since it was such ballots that helped Hitler to gain power.) It’s quite the conundrum that it might be necessary to restrict people’s liberty in choosing what they wish to believe in in order to uphold the integrity of society. Certainly, Breitbart and Fox and Sinclair traffic in their own facts, but this new reality is not just the fault of the consolidation of news brands under conservative corporate umbrellas and their interest in dictating coverage. While the motivations might be quite different, more middle of the road media perpetuate the disbelief problem we now see, too. Take your example of global warming, which centrist and even left leaning outlets think deserves input from both sides of the issue (and I say issue and not debate or argument as there is no debate or argument) in pursuit of fairness. That strikes me as something of the journalistic version of the grammar school habit of everyone getting the trophy, so no one feels bad. Of course, the universal trophy leads to too many people believing what they say or have or do is of value. And this, of course, brings us to social media and how it amplifies the straphanger with the tin foil hat—and how even those without the hat can be misled (and even moved to action) by targeted misinformation. We certainly know how this works now, even if we don’t always know exactly when it’s happening. More troubling than just fake news, however, is some of the behavioral modification techniques that we are just learning about that can be deployed online—using, for example, low frequency sound or light modulation to prime one’s brain state to be more receptive to a message. This sounds like science fiction, but it is not. And thanks to some state level hacker I could be experiencing that right now while you are not. Think about that! What is the solution? A better civic, logic and philosophy education? That would certainly not hurt, and seemed to be the answer to the Yellow Journalism plague that infected a hundred and more years ago. More skepticism? That is a double-edge sword cutting between both propaganda and mistrust of legitimate information in favor of our confirmation biases. A more controlled digital experience? I can envision more control or even a breaking up of some of the larger social media platforms, but what is beyond that? Manipulating actual content distribution? Who will do that and who here would be comfortable, with, say, less debate on JeffWise.net? So we end where we began—in agreement but with no idea what to do about it. A friend just returned from a fellowship at the Santa Fe Institute, where they grapple with really big questions, like radical ecosystem changes, species survival and interplanetary arks. His take? Even if there were a way to simply convey solutions to the most important and most complicated issues it might not matter, because some of us are quite literally wired only to hear what we want to hear and not the truth. Perhaps it’s up to those who do hear to make sure they speak and continue to try to educate and espouse open mindedness and tolerance and when necessary be ready to fight for it. This seems to be how we’ve managed to get this far–and through some very frightening times. In that regard I urge people to read Erik Larson’s excellent book, In the Garden of Beasts, which is about the rise of intolerance and Nazism in Germany in the days before the Second World War. It’s parallels with today are frightening, actually, but we know how that ultimately turned out, with victory going to the right team. “fire in a crowded theater” … that’s lame. C’mon, can’t you find any better example ? This has been used 47 mio times in history as an example to justify free speech limitation and never happened once in real life. If you want to forbid discussion about vaccines, then discussion about MH370 being in Kazakhstan would have to be forbidden just as well as it’s on the same level. @Scott O., Enjoyed your long comment below. @Scott O. & @Wazir, It’s also interesting to me that all of Blaine’s pieces are suitcase-sized and lack fresh fouling, even when found on wet sand. 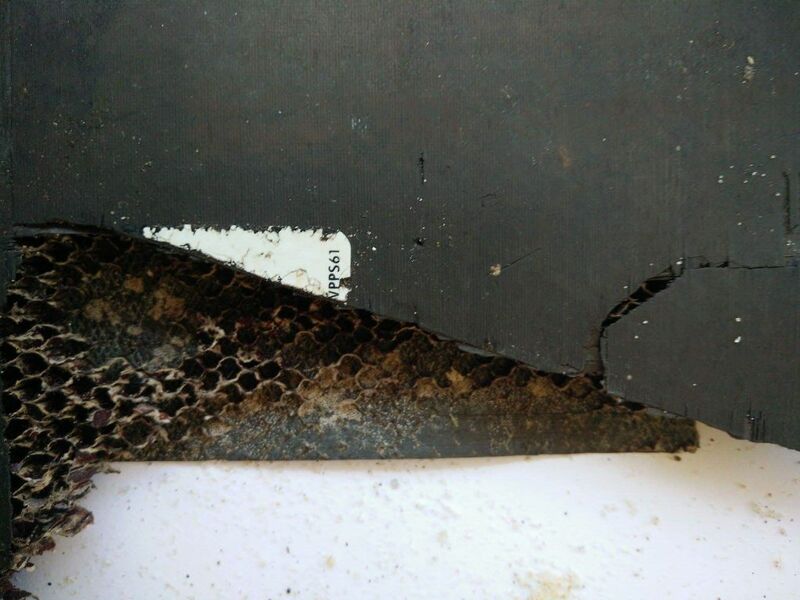 It certainly looks like parts of an aircraft cabin floor panel but the honeycomb material that these panels are made from is commercially available to anyone who wants to buy it. These pieces could easily have come from a wrecked boat or from one of the many ship breakers yards that operate in the area. As someone said whenever someone mentions locating 370 as recently some crank said he did in Cambodia, debris turns up right on cue somewhere else with the same actor in the picture. Weird. And not forgetting just when your plausible spoof theory gains traction, debris surfaces. Bizarre is not quite the word. Could the floorboard discovered by Gibson on Madagascar be a MH17 floorboard (planted there or just thrown into the ocean reckoning it would be found eventually) ? Yes, but the floor panel has a part number on it. Same as MH17. 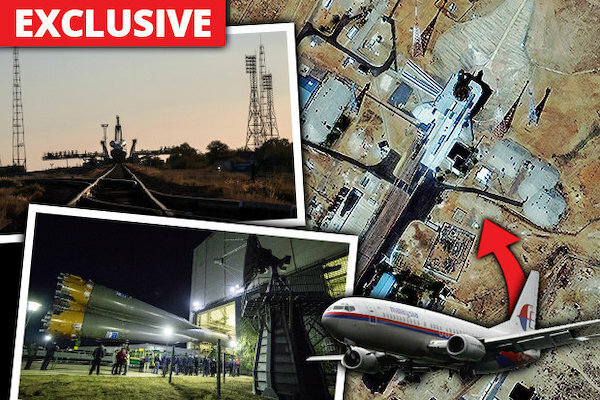 Hence the question if it could be planted MH17 debris. @Dravello, I suppose it’s possible but other debris pieces have been found to come uniquely from 9M-MRO. @Dravello , I thought about that too especially when the same person keep picking up these debris with such clairvoyant precision. Then I figured maybe his Fat Controller dialled up his number for him to turn up on cue like clockwork orange. Interesting that one of the debris has shrapnel caused piercings, so they could well be leftovers from MH17 downed by the BUK. Just speculating. Sorry, I seem to have missed that. For which pieces do we have definitive proof that MH370 is the origin (and not MH17 for example) ? @Dravello, Most notably, the flaperon. Another interesting coincidence: the “best” piece, in that it had a full set of live biofouling and identification numbers, the flaperon was the first one. Also, it just so happened that the adjacent flap later turned up, allowing investigators to deduce that the flaps had not been deployed at the moment of impact. @Jeff Wise: I thought that the flaperon’s ID plate was missing? So what is the definitive proof that the flaperon is from MH370 (and not another B777) ? @Dravello, There were numbers inside that were eventually traced to the subcomponent manufacturer in Spain. I just don’t trust Blaine. His face is deceptive. Hell, everything about him is just shady as hell. @Tex, I can’t speak to Blaine’s trustworthiness, but even a fully honest broker can be a dupe. That said, if you were an arson investigator and saw the same man at 24 of 27 fires, you might start to wonder. If you were a detective and had help from an eager citizen who found more evidence than you did, you might be concerned. I do think it’s important to keep in mind that whatever his intention or regardless of where the plane may one day be found, until there is concrete forensic proof of why it crashed and how it got to the crash location, suspicions are not just wise but necessary. As many know, after the loss of MH17 and MH370, Malaysia airlines retooled their fleet and eliminated their 15 remaining B777s from service. The remaining 3 were obtained by Moscow-based Russian airline VIM airlines 9M-(MRC, MRF, MRJ). Interesting that the curse of corruption followed the B777’s that left MAS to VIM! That is actually very interesting I do not think we have previously heard the fate of the defunct MAS B777 aircraft. Assuming one of the stored aircraft is configured just like 9M-MRO, it could be instructive to see the layout (ELT etc.). According to Planespotters.net, all of the Malaysia Airlines B777s had the same configuration. 9M-MRN was delivered to Malaysia Airlines in April 2002, about 1 month before 9M-MRO, so you could call it a “sister” plane of sorts. It’s true Phil Gibson, Blaine’s father, was Chief Justice of the California Supreme Court and was considered for a position on the U.S. Supreme Court. But that was by Harry Truman in 1946! Phil also retired from the bench in 1964, when Blaine, according to press reports, was entering grade school, so it’s hard to imagine much connecting father and son (via a second wife) in that respect. Of course, the newly capitalist Russia was the Soviet Union until 1991. But it’s that fattened bank account that we are supposed to believe provided him with enough honest money to not only avoid work but finance a life in which he has visited 177 countries, that is truly odd. And with all that we are supposed to imagine that he had such skill as a consultant (doing what, we don’t know) that he—in a decade that saw the collapse of the ruble, hyperinflation, wage depreciation and debt default, which is to say when no one honest made money—socked away enough to never work again, like some, oh, I don’t know, oligarch? There is a new analysis from Martin Kristensen that claims a location just after Christmas Island. His analysis actually finds four possible northern routes, although he dismisses them as implausible for various reasons. @Ben S, This is the worst kind of garbage–dressed up as a well-formatted scientific paper with lots of arcane-looking equations. It seems like every month or two there’s some new random person emerging out of the woodwork with a spurious claim to add to the fog of misunderstanding. Whether it’s malicious or not I don’t know but it certainly is discouraging to see the amount of uptake this stuff gets. Christmas Island as an end route has been spoken about for years. From memory it was attached to the political outrage from captain Shah, something about seeking asylum?? @JeffWise, sorry but I don’t understand your outrage at this news report, at this time? @Laura, Outrage is perhaps too strong a word but I do feel super frustrated when people promote total nonsense–to be clear, what this person is putting out is total nonsensical gibberish dressed up with mathematical formulas. It has exactly as much value as the person who took a Google Earth screenshot of a plane flying over Cambodia and said it was MH370. It’s pure noise that detracts from good-faith attempts to try to figure out what happened to the plane. Yes, agree with you completely, it does become tiresome when trying to sort the bs reports from the legit ones. Hi, am I still on blacklist as a russian troll, or something changed already? @All, closing commments here now. Please add your thoughts to the most recent post. Thank you! Next Next post: What Sort of Person Was MH370’s Captain?